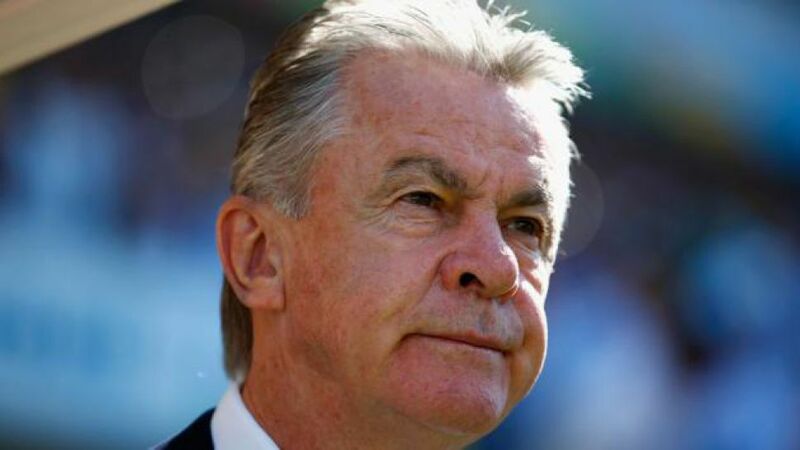 Zurich - Former FC Bayern München and Borussia Dortmund head coach Ottmar Hitzfeld will be in attendance at Monday evening’s FIFA Ballon d’Or 2014 Gala in Zürich, where he will present the award for 2014 FIFA World Coach of the Year. Speaking exclusively to bundesliga.com, Hitzfeld explains why he feels Bayern custodian Manuel Neuer deserves to win the World Player of the Year gong, and backs Germany head coach Joachim Löw to be named best coach in 2014.
bundesliga.com: Ottmar Hitzfeld, who do you think will succeed Cristiano Ronaldo as World Footballer of the Year? Ottmar Hitzfeld: In Manuel Neuer, Cristiano Ronaldo and Lionel Messi, we’ve got three outstanding players on the final shortlist. Obviously it’s extremely difficult to win the World Player of the Year award as a goalkeeper; it’s already a huge achievement to be named among the final three. Personally, I feel it’s time a keeper won the award and Neuer really deserves it, all the more so because he’s reinvented the goalkeeping position. Hitzfeld: He’s a modern goalkeeper who likes to get hold of the ball and play as a sweeper behind the defence. Whether he’s standing on his line or rushing out of his goal, he’s impeccable. There's never been a keeper like Neuer before. He's elevated the goalkeeping position to a new dimension, so he’s in with a good chance of winning. bundesliga.com: Would you have liked to have coach Manuel Neuer during your career? Hitzfeld: I was very happy to work with a keeper like Oliver Kahn for so many years. He was the best in the world in his position. He was incredible on his own goalline and his reflexes were world class. bundesliga.com: Would you say it’s unfortunate that Neuer happens to be up against Cristiano Ronaldo and Lionel Messi? Hitzfeld: I see it as an honour that Neuer’s among the final three. He’s been named one of the best players in the world in 2014. That alone is an incredible achievement. Hitzfeld: Strikers and attacking midfielders usually end up winning these types of awards. It’s easier for strikers because fans pay most attention to goals and don’t bother too much about a goalkeeper’s saves, but Neuer won the World Cup six months ago and played a huge role in Germany’s success. bundesliga.com: What exactly does Manuel Neuer have that other goalkeepers don’t? Hitzfeld: He’s an unbelievably intelligent player, which can’t be said of every goalkeeper. Had he started out as an outfield player, he’d probably be playing in the Bundesliga anyway. His footballing brain, his awareness and his buid-up play are exceptional. bundesliga.com: Do you think Germany head coach Joachim Löw can beat Real Madrid’s Carlo Ancelotti and Club Atletico De Madrid’s Diego Simeone to the World Coach of the Year award? Hitzfeld: A coach lives by his results, so it’s no surprise that Ancelotti, who won the Champions League, and 'Jogi' are on the final shortlist. After winning the World Cup, though, Löw deserves it the most. What he's achieved is phenomenal. He’s given the German national team a clear structure and got them playing in a manner that has been appreciated around the world.